- Advanced dual-peak or multi-peak tracking technology. - MPPT algorithm raise charging efficiency by 15-20% compared with PWM. 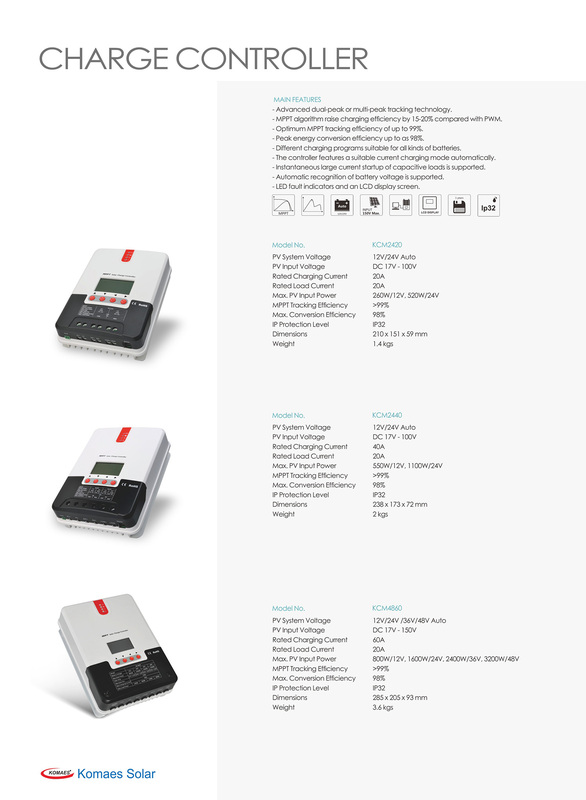 - Optimum MPPT tracking efficiency of up to 99%. - Peak energy conversion efficiency up to as 98%. - Different charging programs suitable for all kinds of batteries. - The controller features a suitable current charging mode automatically. - Instantaneous large current startup of capacitive loads is supported. - Automatic recognition of battery voltage is supported. - LED fault indicators and an LCD display screen. Looking for ideal 20A MPPT Solar Panel Kits Manufacturer & supplier ? We have a wide selection at great prices to help you get creative. All the 20A MPPT Solar Control Box are quality guaranteed. We are China Origin Factory of 20A MPPT Solar Panel Charge Controller. If you have any question, please feel free to contact us.